Brand New 2 Year Anniversary T-Shirt! 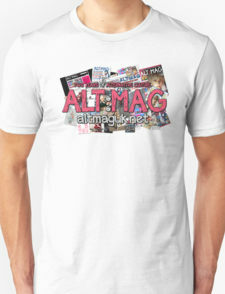 Hello everyone, here is a short post just to let you know that Alt:Mag has a brand new t-shirt available that you can buy online through the website Redbubble! 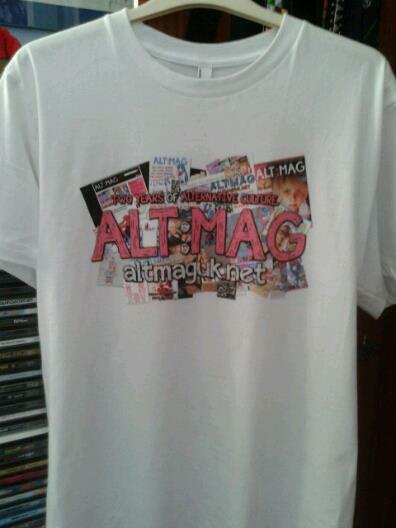 It was created to celebrate Alt:Mag's 2 years of existence! Click on the picture below for more information and pricing details. I've tried to price it as cheaply as possible, so more people will be interested in buying one. Also on Redbubble, you can chose any of our designs in different sizes, colours, types or you can even purchase them as stickers. If you buy 6 stickers you will get them half price!